This is known as “ROSE FACIAL KIT. 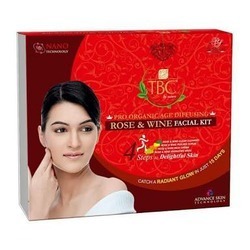 This is a Rose based facial kit. 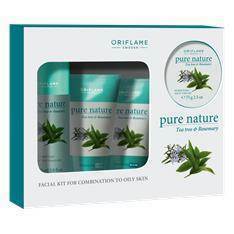 This product is made of natural ingredients. This product helps to improve the skin in Teen Age and gives Extra Glow to the Skin. It contains so many natural oils, vitamins and minerals in Triphala extract like Vit-e, Vita tannins, Phyllemblin acid, Gallic acid, Emblieol musrsic acid and phyllembin which are useful in different skin problems. Rub gently on face for 5-8 minutes and clean with dry cotton. The kit includes: Cleanser, Scrub, Face Massage Cream and Face Mask. With Tea Tree and Rosemary extracts to help control excess oil, balance and purify the skin, leaving it matte and healthy-looking. Indian Rose oil is known for its exquisite fragrance and stressrelieving properties. The skin is left beautifully hydrated and soft.